The first association that comes to mind when hearing the word “chopsticks” is Asia, but people from all around the world use them as well. A number of studies show that when people eat with chopsticks, they eat slower, taking smaller bites and chewing better, which leads to better digestion and weight loss. 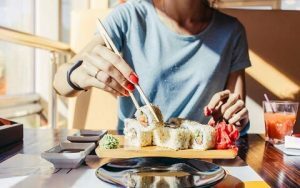 Aside from the health benefits of using chopsticks, most models are environmentally friendly as well, and let’s not forget – are not expensive and there are plenty of choices. On the flip side, the almost endless selection of chopsticks on the market means choosing the best ones might be harder than what you expect. Don’t stress out: that’s where we come in. If you are a lover of Asian food, you know that once you’ve mastered the craft, eating with a pair of chopsticks is far easier than eating with a fork. The design of the chopsticks makes it possible to pick any ingredient of the dish you want and leave the rest in the plate. This does not mean that eating Asian dishes with a fork is impossible, but it is surely harder.There must be a reason that different utensils are used for eating different foods, right? Some people think finding high quality chopsticks is easy, but that cannot be further from the truth. Just like there are plastic and steel forks, dinner forks, salad forks and so on, there are different types of chopsticks as well. Their differences are related both to the material they are made of, as well as their length and shape. The question is, with so much choice and variety, how do you know which chopsticks are the best to buy? Well, it all starts with understanding the differences among different kinds of chopsticks that you find. Reusable Bamboo Chopsticks are what you get in most Asian restaurants and take out foods, only those are disposable, unlike the bamboo ones you would buy for your home. They are environmentally friendly, and the cheapest to manufacture. When it comes to usage, they are heat resistant, but on the other side deteriorate after continued usage, so they are primarily meant to be reusable items. Wooden Chopsticks are just as heat resistant as bamboo and are fairly easy to use. However, if you decide to buy these chopsticks, you need to be extra careful to choose ones which have not been painted with artificial colors. 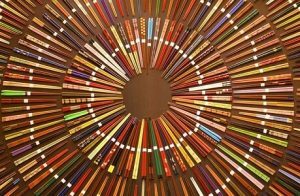 Although your eyes might stop on all those colorful chopsticks that come in many designs, know that no matter how beautiful they are, they are probably not the best type of chopsticks you can buy. 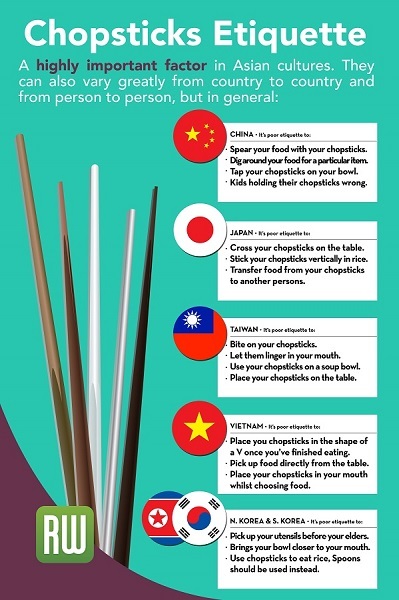 Plastic Chopsticks are the least recommended out of all types for a couple of reasons. First, they are hard to use, as food tends to slip because the material they are made of. Second, they cannot be used for cooking, as the plastic can melt when exposed to high temperature. Finally, the material might release toxins and be harmful to human health. Silver Chopsticks in traditional terms are a symbol of wealth. In the past, people believed that silver would tarnish if it gets in touch with any kind of poison. So it was considered the best material for chopsticks and royalty used them to protect themselves from poisoning. Metal Chopsticks are a big thing in Korea and started being widely used by common citizens when royalty were using silver. Ordinary citizen weren’t concerned with being poisoned, but only about the usefulness of the chopsticks. Also, Koreans believe that stainless steel chopsticks are more hygienic than other materials when it comes to chopsticks. Titanium Chopsticks last an eternity and at the same time are extremely lightweight. That is their best quality and the strongest selling point. The only problem is that they might feel more slippery to inexperienced users. Ceramic or Porcelain Chopsticks are elegant chopsticks, decorated in an appealing way, which makes them one of the most beautiful chopsticks to look at. Using them is an entirely different story. Although it is universally accepted that chopsticks are widely used in Asia,that is not exactly true. For example, Thai and Filipinos prefer using a fork and knife for eating. On the other hand, Chinese, Japanese and Korean are all users of chopsticks. Asia is big, and although there might be some similarities between Asian countries, the reality is that they have different histories, traditions, foods, and etiquette. 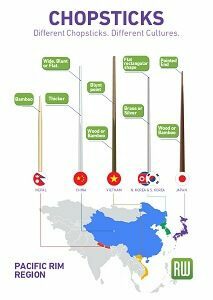 Throughout the years these nations have created different types of chopsticks, depending on the foods they usually eat. Why do we stress this? Because, when you are choosing what are the best type of chopsticks for you, you need to consider the differences among the three main kinds of chopsticks. Chinese Chopsticks are the oldest of the three dating back around 5000 years ago, Chinese people do not consider them only as an aid for eating, but as an extension of their fingers as well. Korean Chopsticks are usually made out of metal, or to be more exact out of stainless steel. These are by far the most durable ones among the three since metal does not deteriorate as bamboo or wood does. Authentic Japanese Chopsticks can be found in different sizes and for various purposes: from chopsticks made for cooking to ones made for eating dessert. Japanese chopsticks are usually decorated. What exactly is the difference between these types? Korean chopsticks are usually made from stainless steel or titanium and are sometimes rounded since the metal is more slippery than wood so the round shape makes them easier to hold. Korean chopsticks are the shortest among the three. The difference between Chinese and Japanese chopsticks, is not as significant, since both are usually made of wood. However, Chinese chopsticks are made of unfinished wood, are longer and have an ending that is blunt and square like, while Japanese ones focus more on the design, are mid-length (shorter than Chinese, longer than Korean), and are available in a larger variety according to their purpose such as cooking, eating sweets or being used during a Japanese funeral ceremony..
Now you know the main differences between the types but what are the best chopsticks when it comes to the ease of use? Here’s the guide to answering these questions, as well as a step by step “beginner chopsticks for adults” tutorial and tips. When it comes to chopsticks, it is easy to hand wash them, cleaning them in the dishwasher along with all other dishes is much more convenient. Reusable plastic chopsticks and metal ones are dishwasher safe, while when it comes to wood, you may want to read the description first and make sure that they don’t deteriorate from so much water exposure in the dishwasher. 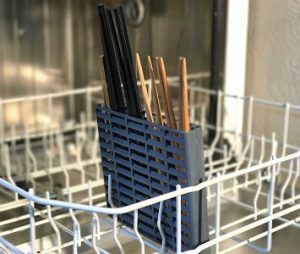 Knowing that the chopsticks are safe to wash in the dishwasher does not mean that you will not have the basic problem many people have: how to make the chopsticks stay in place and not fall through. The answer depends on your dishwasher. Some dishwasher utensil containers have holes small enough that they don’t let the chopsticks fall through. If that is not the case, then laying them down on the upper part of the dishwasher will do the trick. If you do not want to go through that, then you can buy a chopsticks and straw holder dishwasher basket that will resolve all your problems. If you are a beginner, chopsticks may be harder to use, but if you follow our short and easy guide on how to use chopsticks for beginners, you will get the hang of it in no time. In the beginning your grip will probably be too strong, and your hand might hurt from practice. As you get used to the feeling, your grip will loosen, and you will hold the chopsticks in a more stable way. The secret behind eating with chopsticks, just like with anything – is practice. Finally, apart from learning how to eat with chopsticks, you should also pay attention to table manners. In some countries in Asia, it is impolite to pick up the bowl from the table – you should lower your head instead. In others, doing that is completely fine. However, piercing your food with the chopsticks, or biting and licking them is a complete “no-no”. When it comes to safety, the only thing you should be worried about is the materials that have been used during their creation. As we had already mentioned, plastic ones tend to be toxic, and so do wooden ones that have been artificially colored. So, if you want to get chopsticks for everyday use the safest option are stainless steel and titanium ones, or plain wood or bamboo ones. If you choose wood or bamboo, remember to change them once in a while, since wood collects bacteria, and after some time has passed (around six months) they need to be replaced with new ones, even in cases when you cannot see any clear signs of deterioration. Most chopsticks on the market are quite affordable but are cheap chopsticks good enough, or should you look for something more expensive? What matters is the material the chopsticks are made of, so always take note of that, as well as if they have been artificially colored or not. Even if you buy chopsticks on a budget, that does not mean that you cannot find good quality ones. Finally, stay away from plastic ones as much as you can. As you could already notice, the variety of chopsticks available is nearly endless. So, it might seem like an exhausting task to choose the best set of chopsticks to purchase, but guess what? We’ve already done the job for you! Home’N’Roll’s team has spent the last couple days going through a list of chopsticks and selecting the best models based on the points we’ve already mentioned. Read the reviews below to find our verdict. As stated,not all chopsticks are the same. 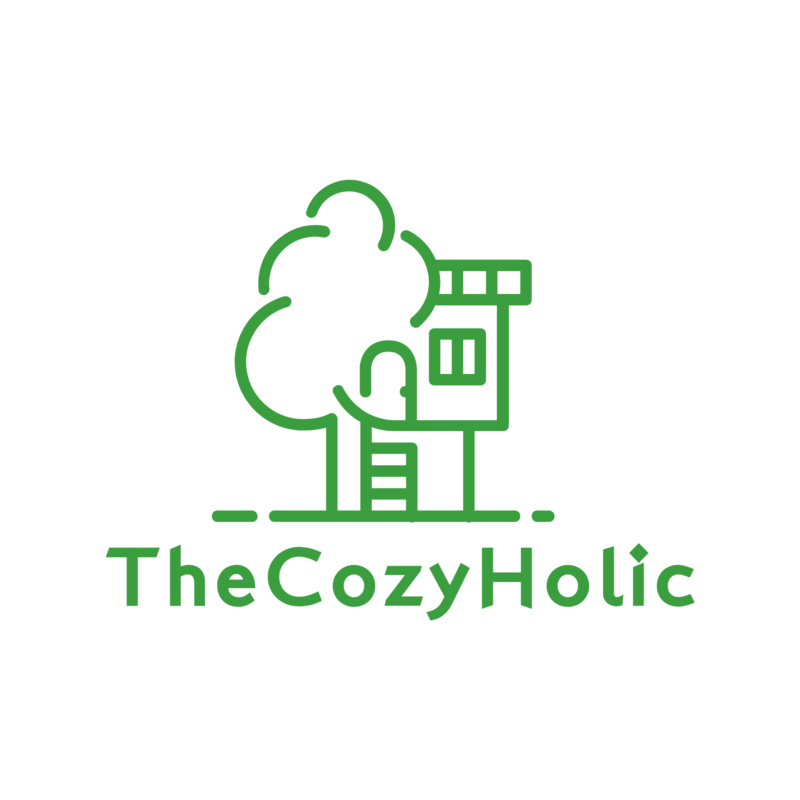 We went through each one of their characteristics and made a list of a couple products that we believe will fit your needs: from decorated chopsticks, disposable bulk chopsticks, to travel utensils, you will find everything in the following list. If you have been looking around to find the best metal chopsticks, then search no more – you have found them! These chopsticks are a great choice for any occasion, be it family dinners or travel. Threaded in the upper end, they are incredibly easy to hold and do not slip as most metal chopsticks do. If you are not opting for a “traditional” feeling, then completing your kitchen utensil collection with reusable metal chopsticks is the best thing you can do, since they are durable, easy to take care of and wash, and are hygienic as they do not collect bacteria like chopsticks made out of natural materials do. This set of Japanese bamboo chopsticks is one that we really liked! They are simple and come in a box of 10, which makes it easy for you to use them either as reusable bamboo chopsticks or disposable chopsticks. The best thing about them is they are made out of natural materials, and you do not have to worry about any colors or toxins they might release. Two things you should be prepared for, however, is the smell of bamboo when you first start using them, as they are freshly made, and their rather uneven shape. To rinse off the smell, you can wash them with hot water, and when it comes to the shape, although some reviews and testimonials state these chopsticks can sometimes be a bit curved, they are straight enough for you to to use them comfortably. These Chinese chopsticks are one of the best ones we have found so far. Coming in a box of 10, they are the perfect set for the whole family. They are long and smooth and dark brown, which gives them an authentic traditional feel. The only thing that you should keep in mind is that it is best to replace wooden chopsticks once every six months, since after continued usage, the wood might start to collect bacteria even in cases when it doesn’t show signs of deterioration. These stainless steel chopsticks would be a great addition to your kitchen. Made out of high-quality material, they are extremely durable and easy to maintain. In this set, you have enough Korean chopsticks to provide for not only your family but whatever number of guests you might receive in your home. If you ask a Korean, metal chopsticks are the best because they are the most hygienic – and we agree. In case you are not looking for a decorated set, you should definitely consider purchasing these chopsticks. These Korean titanium chopsticks are one of the best titanium chopsticks you can find on the market. Packed in a strong aluminum carrying case, these chopsticks are perfect not only for home usage, but also for travel and outside activities. The titanium they are made of is strong and odorless, FDA approved, and not toxic for the body. Last but not the least about this Korean chopsticks set, is some good news: once you buy them , they last forever. If you are a passionate traveler, then having your own portable, personal travel set is something that comes naturally to you. Be it camping, or going on a road trip, putting a pair of utensils in your backpack is always a good idea. If you have been on a lookout for travel chopsticks that you can take with you on all of your adventures, you have found them. Incredibly light and appealing to the eye, these titanium chopsticks are everything you need for all the trips to come. As opposed to those made of stainless steel, chopsticks made of titanium are up to 60% lighter, and far more durable. Which means, that once you put them in your bag – you won’t even know they are there. This travel chopstick set comes with lacquered chopsticks and a plastic carrying case, which makes it easy for you to pack them and take them with you everywhere. These high-quality Japanese chopsticks that can be reused for a long time if you take proper care of them. They can be washed in the dishwasher, but hand washing is recommended, so you can prevent the lacquer wearing off too soon. Not only are they easy to use and are a light weight that allows you to pick even the smallest pieces of food, but they are also decorated, which makes them a great option for a gift as well. Finally, this set of quality Japanese chopsticks is a perfect fit for all those who do not want to get plain-looking chopsticks and enjoy the porcelain patterns. Made of high-quality bamboo, these Japanese bamboo chopsticks have gone through a hardening process as well as hand polishing, which makes them extremely smooth and comfortable to eat with. They are a great choice not only for your own personal usage but for gifts to your friends and family as well. Keep in mind that the porcelain pattern is not actual porcelain, but a lacquer which looks just as nice). Final Verdict: What are The Best Reusable Chopsticks? If you ask us, this verdict is easy: chopsticks made of stainless steel or titanium are the best types. These materials do not deteriorate and do not collect bacteria as wood and bamboo does. This means that after you buy stainless steel or titanium chopsticks, you will change them only if you find a better shape or a color you like more. However, we have to admit that these chopsticks are not as pretty to the eye as decorated wooden ones. Yes, they are hygienic and may be the best choice when deciding to purchase them for yourself, or for eating in a restaurant, but the colorful wooden ones are the ones that make the best gifts. So, choose the chopsticks which you would like to buy according to their purpose. If you are buying them for your kitchen, then the best thing you can do is go for Stainless-Steel Chopsticks, as they are sold in bulk and one box will be enough for your whole family. If you need chopsticks for your travels, then without a doubt you should choose lightweight Titanium Chopsticks. Finally, if you are looking at chopsticks to give them as a gift, then either Wood and Plastic Chopsticks or Porcelain Pattern Chopsticks are your best choice. Also, while you are looking at chopsticks, it wouldn’t hurt to take a look at soy sauce dishes as well as chopstick rests. You can find whole sets that consist of these three products for affordable prices, and even if you choose to use bamboo or wooden chopsticks, adding a porcelain dish and chopstick rest will make the whole set look more elegant. Luckily dishes and rests are available in various shapes, sizes and colors, so you can easily find a perfect product that fit the chopsticks you chose to buy.